CABS Nursing Home Company, which formerly operated a facility at 270 Nostrand Ave. and DeKalb Avenue, says the building's new owners lied about their plans to keep the nursing home running after the property's sale. BEDFORD-STUYVESANT — A nursing home company is suing the new owners of a Bedford-Stuyvesant property, saying they lied about plans to keep the home operational and instead moved patients out with the intention of turning the building into apartments. CABS Nursing Home Company Inc. is accusing the Allure Group Inc. — the same company involved in the controversial Rivington House sale — of misrepresenting their plans for the property at 270 Nostrand Ave. and DeKalb Avenue, which they say resulted in the early death of at least one elderly patient. “They were forced from the only home that many of them had known for years, a home that was like a family to them, with the effect that some of them died prematurely,” the suit filed in Kings County Supreme Court reads. NNRC Properties LLC, which is part of the Allure group, bought the property from CABS for $15.6 million in June 2015, city records show. The nursing home was struggling financially, according to court documents, and decided to sell to a larger entity that could help its operations. Joel Landau, a member of the LLC and representative of Allure Group, repeatedly told CABS reps that it would continue to be run as a nursing home, the suit says. CABS selected Allure as the buyer because it believed the group to be the “best bid” based on Allure’s experience running similar ‘minority-focused nursing homes,” among other reasons, court documents detail. The nursing home company had rejected higher offers, including one from an unsolicited bidder who said its intentions were to convert the facility into luxury apartments, as first reported by the New York Law Journal. “For the avoidance of any doubt, it must be emphasized that after operating the Nursing Home for the community for almost 40 years, CABS would not have sold it to Joel Landau and his affiliates without the specific commitment that it would be continued to be run as a nursing home,” CABS attorneys wrote. Landau told employees that they would keep their jobs and “that nothing would change,” the suit alleges. Still, in August 2015, patients were being moved out of the home on the pretense that renovations were being made to the second floor or that other, higher-paying patients would be moved in, according to court documents. “None of this was true. Not a single new patient ever entered the home after Allure purchased it. Not a single renovation was ever done to improve the facility,” the suit reads. In October 2015, plans were filed for a 241-unit residential building on the site of the nursing home. A full stop work order currently exists on the property. The Department of Buildings did not immediately return a request for comment on the details of the stop work order. The State Attorney General later opened an investigation into Allure Group to look into whether the group misled health officials about its plan to convert the Brooklyn nursing home. “It’s not only an issue of wronging someone in a business deal, they wronged real people, innocent people, old people and families whose lives were disrupted,” Eilender told DNAinfo New York. An attorney for Allure Group did not immediately respond to a request for comment. 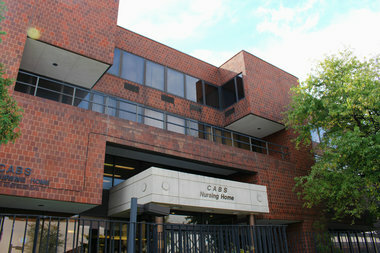 CABS is seeking to void the sale of the Nostrand Avenue nursing home and regain control of the facility, along with more than $30 million in damages.